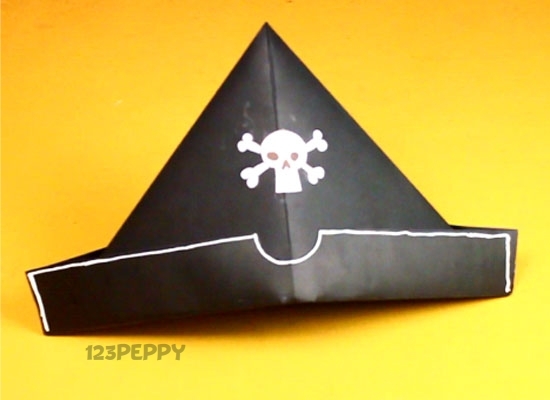 Junior Pirates: Make yer own pirate hat! Ahoy, junior pirates! Dead Skin Dave has just set me an urgent request. 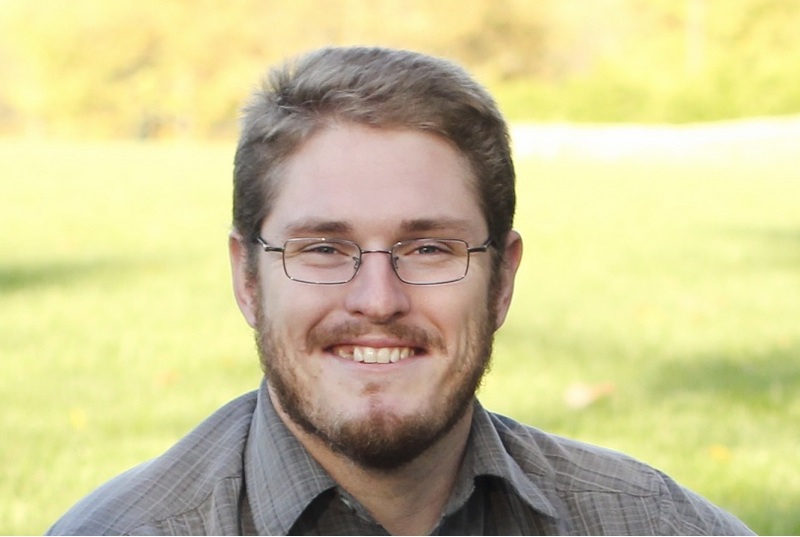 He seems to have lost his crew, and he needs replacements as quickly as possible! All you need to do is make this official pirate hat to join Dave’s crew! Hurry he needs your help! Cut open the bag so that you are left with a large front panel. Fold the panel in half along the width of the paper. Fold the two corners to the center. Because your started with a rectanglular panel, the folded corners should leave you with some excess space at the bottom. Fold the bottom excess up and over the corners as shown. Repeat Step 5 for the reverse side of the hat. 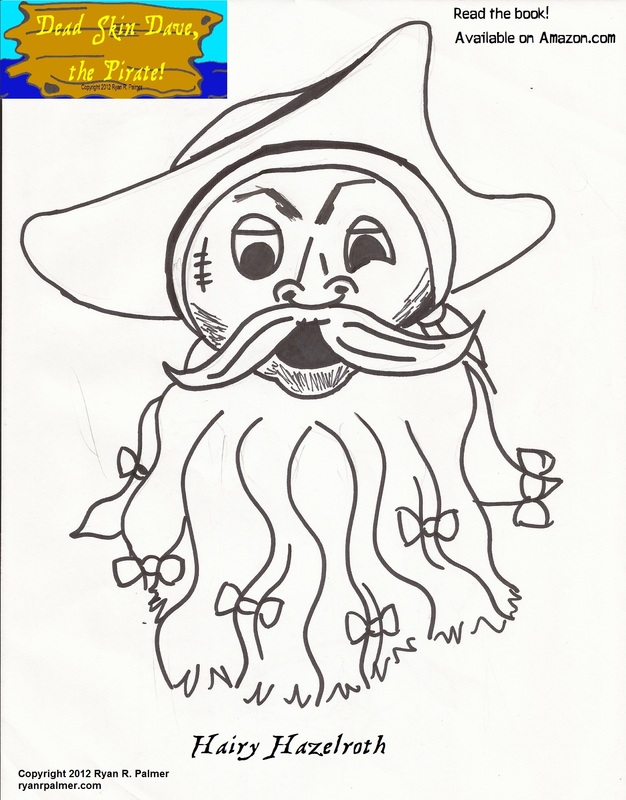 Use your marker or other embellishments to decorate the face of your pirate hat. Start with skull and cross bone and see what else you can add. Dead Skin Dave’s T-Shirt Recommendation of the Day! Ahoy there, mateys! For ONE DAY ONLY ye can get this amazin’ pirate shirt from shirtpunch.com! When i saw this shirt, I just had ta tell ye all about it, as it sends shivers down me spine and inspires me to get goin’ on me next pirate adventure! Click the picture below to order! Make your own treasure map! Ahoy, junior pirates! 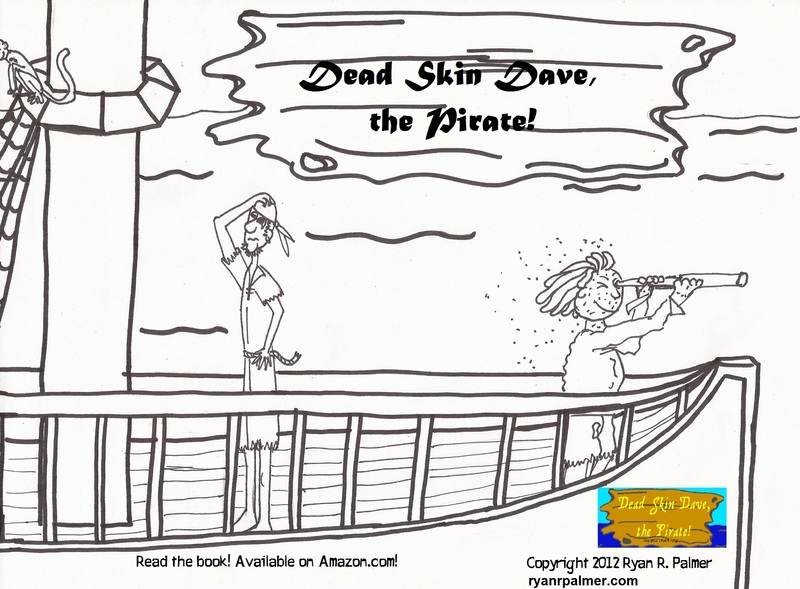 Dead Skin Dave has passed along this important assignment! He wants you to make your very own treasure map! Take a piece of nice white paper and rip off all the edges (don’t cut them with scissors, rip them!) If you rip the paper a bit more than you meant to, it’s not the end of the world. Crumple the paper up as tightly as you can into a ball. Flatten the paper out again and put onto a plate or cookie sheet. (if you haven’t told the kids what you’re doing, they’ll start thinking you’re really weird right about now). Pour coffee or tea over the paper. Swoosh around with your hands to make sure it covers everything. If you’re doing this with a large group of smaller kids, you may want to get it to this point and set them aside for a couple minutes (get the children arranged at the table for drawing their maps). Then pull out some finished, dried sheets that you premade. It keeps the kids from having to sit through the “waiting” parts of the project. Pour the coffee off into the sink. Blow-dry with a hand held blow-dryer on high for about 5 minutes (leave it sitting on the plate while blow-drying or it will tear to pieces). When it’s pretty dry (and starts to lift a bit) switch the blow-dryer to low to finish off (about another 2 minutes). Now… take some markers and draw your map. There should be a big X in the middle, a dotted line trail that winds around and maybe a title that says “Pirate Island” and a North, South, East, West arrow in the corner. You can roll the map up and slip into a 1/4 tp roll holder or tie with a ribbon, stick it into a bottle or just hang it up on your wall! Lastly, when you are all done, find something to hide, create your own landmarks out of cardboard boxes, and have your friends go searching for your buried treasure!